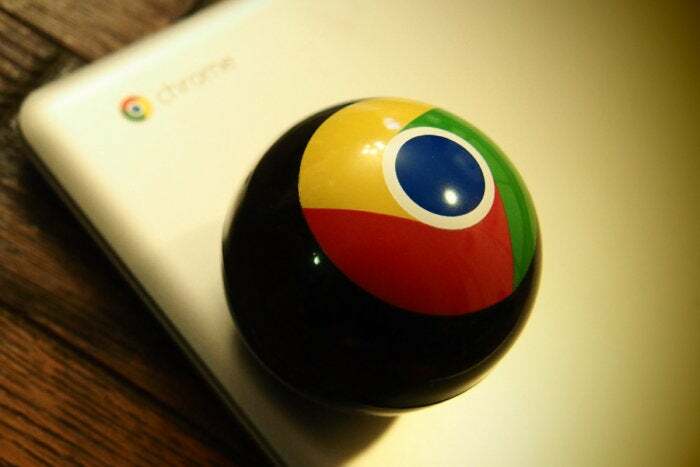 Google’s Chrome OS platform sure has come a long way. From the early days, when Chrome OS was little more than an experimental “browser in a box,” to today — with the platform powering first-class hardware and supporting a diverse range of productivity applications — Google’s once-crazy-seeming project has turned into one of the world’s most intriguing and rapidly expanding technological forces. I’ve been covering Chrome OS closely since the start. I lived with the first Chromebook prototype, the Cr-48, and have used Chromebooks as part of my own personal computing setup in varying capacities ever since. I write about the field not only as someone who’s studied it professionally from day 1 but also as someone who has used it personally that entire time, up through today. So whether you’re relatively new to the realm of Chrome OS or are a Chromebook veteran yourself, I’m happy to join you on your journey and act as your guide. On this page, you’ll find all my latest Chrome OS coverage — the original analysis, the tips ‘n’ tricks, and everything in between. I’ll be updating it regularly as new subjects come up, so check back often and stay ahead of the curve with your Chromebook knowledge. Chromebooks aren’t like regular computers — so are they right for your needs? These three questions will help you (or anyone else you know) find the answer. These hidden gems will make Chrome OS more versatile and powerful — but it’s up to you to find ’em on your Chromebook. Realize it or not, you (and/or your friends and colleagues) have probably heard plenty of hokum about Google’s Chrome OS platform. Time to separate fact from fiction. Google’s Chrome OS isn’t like other operating systems — and the way it handles upgrades is no exception. Some fresh perspective on a Chromebook’s capabilities for professionals. Google Smart Lock can simplify security and save you time on Chrome OS, Android, and even Mac and Windows. Are you taking advantage of all it has to offer? Linux apps can expand your Chromebook’s capabilities and open up all sorts of interesting options — but first, you have to know where to begin. Make your Chromebook even more capable with this carefully selected set of Linux apps for expanding Chrome OS’s potential as a business tool. With a few simple tweaks, your Chromebook can become an even more connected part of your cloud-centric setup. As the lines continue to blur between Chrome OS and Android, some once-crazy-sounding concepts are shaking up mobile computing as we know it. How a seemingly simple new hardware form could mark a major turning point in Google’s long-standing chicken-and-egg stalemate with Android app developers. There’s much more to this move than what you see on the surface. Ready to have your mind blown? Linux app support for Chrome OS may sound like a big heaping bowl of irrelevant geek stew, but don’t be fooled: This move is enormously significant, too. Apple’s plan to bring mobile apps to the desktop validates what Google’s been doing with Android and Chrome OS for some time now — but its approach is also different in some pretty interesting ways. Google’s Chrome OS has been quietly reshaping the state of modern computing for some time now — and thanks to a new twist on an old idea, it’s about to do it again. The HP Chromebook x2 has an uncanny connection to Chrome OS and Android’s intertwined history. Ready for a haunting ghost tour? The common conclusion with Google’s Pixelbook is that you’d have to be crazy to spend that much money on a Chromebook, but that assessment is based on a flawed and myopic premise. Google’s new Surface-like convertible has plenty of surface-level appeal, but can it stand up to the company’s reigning productivity champion? Want even more Chrome OS knowledge? Sign up for my weekly Android Intelligence newsletter to get fresh insight into all things Google, delivered to your inbox every Friday. This story, “Chrome OS: Tips, tools, and other Chromebook intelligence” was originally published by Computerworld.